“The most surprising bestseller in international markets,” ran the article in Publisher’s Weekly a few weeks ago, “was in the Netherlands, where John William’s classic novel Stoner reached #1.” The novel has hovered near the top of the charts for weeks and there are now more than 125,000 copies of the Dutch edition in print. Sales are picking up in France, Spain, and Italy. When I first started looking into the history of the book, I expected to find a story of undiscovered genius and a neglected book. Much of the narrative around Stoner and its author, John Williams, seems to be one of being overlooked and forgotten. “John is almost famous for not being famous,” said his friend Dan Wakefield. That a good book, which may be slightly ahead of its time, gets published and ignored is not an exceptional story. It happens all the time. According to the UNESCO survey of book production, 54,378 books were published in 1965. Some of those had more than a handful of readers. A few might be thought of as works of genius. Many were overlooked. Most are forgotten. This is not a tragedy. It’s realistic. It is ordinary. When I looked into the story behind Stoner, what I found is the opposite. It is surprising precisely because this book has not been overlooked. This is a story about a novel that is so extraordinary that it’s been remembered. 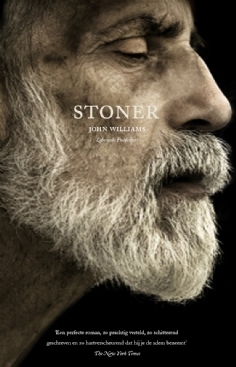 In 1965, an English professor at the University of Denver, John Williams, published a book called Stoner. It is the quiet story of a man born at the end of the 19th century. He escapes a hardscrabble existence on a farm in Missouri by falling in love with English literature. He works his way into a scholar’s life. The years go by. He turns inward. He dies. The novel was briefly noted in The New Yorker, calling it “a masterly portrait…Mr. Williams shows extraordinary control in telling this extremely difficult story.” The novel went on to sell about 2,000 copies. Some of you might think, “briefly noted in The New Yorker, some sales, and he has a pension — not all bad?” In the annals of writers, there are certainly far more tragic stories, especially for a book with such a quiet plot and a non-celebrity author. But even as that essay was published, it is said that Stoner was out of print. Williams won the National Book Award for his next novel in 1973. A hung jury spilt the award between John Barth’s Chimera and Augustus by Williams, which is a story of the Roman Empire from the death of Caesar to the last days of Augustus. There is anecdotal evidence to suggest that by then, Stoner was an underground favorite. It was passed around between grad students, keen readers, and people in the know. Back in those days, as some of you might remember, it could be hard to buy older books. Titles still regularly went out of print. Stoner’s journey from person-to-person was most likely slow. The few copies that were still in circulation were likely ringed by coffee stains, a few were forgotten on a bus or a bench, and a many more parked on a bookshelf somewhere. One of those copies of Stoner was passed to writer Steve Almond in 1995 by a friend, “he talked about it in a this reverential way, almost hushed, and because we were, in fact, both stoners, I did assume it was about drugs. But it took me about one paragraph to realize it was straight realist fiction, and to be mesmerized.” Almond went on to write about the book for Tin House in 2003, an article that was recently reprinted by The Rumpus. Edwin Frank, the editorial director of New York Review of Books Classics, first heard about Stoner from John Doyle, the owner of the Upper East Side bookstore Crawford and Doyle. Frank read the book in one sitting and quickly bought the rights. He isn’t sure how long the book had been out of print by then, “but they were certainly not easy to come by.” He republished Stoner as a classic in 2006. This is the point in the story at which it seems the supply of copies of Stoner became more abundant. Instead of waiting for Steve Almond to pass along his dog-eared copy, readers were now able to buy a copy of their own. A few passed these copies on. This is also the point where the narrative seems to split into several strands. While it is hard to trace the exact path of Stoner, it is clear is that the book had many fans who were now actively recommending the book. Williams passed away in 1994. Though he must have heard acclaim for his work while he was still alive, if there is one sad note in this story it might be that he was not alive to read this review, or see the success that has come since. Meanwhile in the United Kingdom, the accolades continued. Colum McCann called Stoner “one of the great forgotten novels of the past century,” while adding that he had bought at least 50 copies to give as gifts in the past few years. Publisher’s Weekly mentioned that this article led both the Catalan and French publishers, Ediciones 62 and Le Dilettante, to buy the rights for their territories. The book had also caught the attention of Anna Gavalda, one of France’s best-selling novelists. She told NPR that she read Stoner in English and asked her editor to buy the rights so that she could do a translation. It has gone on to sell well in France. The novel was also successfully published by Yedioth in Israel. Oscar van Gelderen, publisher of Lebowski Publishers, remembers the expression on the faces of his colleagues in the sales force when he first presented the new book he wanted to acquire, Stoner. They said, “are you serious? That sounds like the most boring book.” And without an author, how exactly would this work? Their worries were well founded. While American books can do well in the Netherlands, it is almost unheard of for a classic to perform as Stoner has. It has been in the top five of the bestseller charts for almost three months, hitting number one for five weeks in a row and it keeps on selling. How did this happen? This is where our story shifts into something even more rare: An extraordinary book is found by a passionate person, who is in the right place at the right time, and does something extraordinary with that book. This piece is missing the work done by John McGahern in promoting the novel. He provided an introdution to a reprinted edition and indeed, gave the novel to all his graduating students when he taught at university in Dublin. McGahern’s introduction is beautifully done. It’s fair to say that many people who played a role in the life of this book are missing. The comments are a great way to acknowledge them, thank you. This is a lovely article and there are almost too many people to name who championed STONER over the years and would not let the book die, including Tom Hanks in a March 2010 Time magazine cover story. As for the European success, I do want to mention Italy’s Fazi Editore and, particularly editor Cristina Marino. She jumped on board very soon after the French publication of STONER and, what’s more, she was the first to license translation rights to Williams’ other titles and and embrace his whole oeuvre, which, in turn, inspired other European publishers to license BUTCHER’S CROSSING. I’ve thought a lot about STONER and this sudden (though actually long-in-the-making), world-wide success over the past few years, as well as my own personal reaction to the work. Despite our current self-display via social media, for most of us, our fate is to die as Williams Stoner, anonymous and half-forgotten, leaving behind a modest contribution. STONER reminds us of that but it also reminds us of the dignity and art-worthiness of even the most humble life. I would like to amend my comment above to note that Cristina Marino at Fazi licensed the Italian translation rights to STONER in 2010, BEFORE the French edition was published in 2011, not after as I erroneously stated above. Thank you for mentioning Morris Dickstein’s 2007 review of Stoner, published in the New York Times Book Review upon the NYRB Classics reissue of the novel. You neglected, however, to provide a link to the essay. (2) the ‘plain style’ mentioned above. Much Dutch literature is little more than ‘telling stories,’ so for an audience used to that level of literature, Stoner is a gem. These elements formed the ‘echo chamber’ in which Van Gelderen’s passionate voice was able to reverberate so well. I don’t understand how anyone can think that McGahern’s introduction is good. That thing is garbage. It basically tells the damned story before one even starts the book. You want a good introduction? Read Borges’ to Bioy Casares’ The invention of Morel (La invención de Morel).